Why Kami brings horses into her programs! 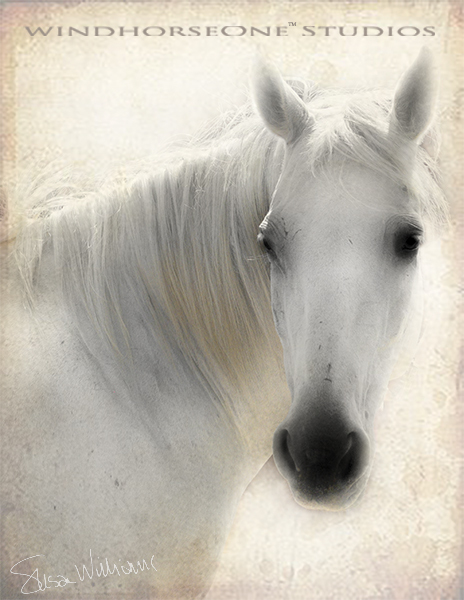 Ask any of Kami’s clients about her magical and powerful coaching and retreats she does with the her herd of horses – and you’ll see smiles, hearts bursting and deep connections. For the horses create innovative breakthroughs in a ‘not so traditional way.’ Bringing the horse into the transformation process is a powerful and experiential path to help people learn more about themselves. Teams discover new ways of working together, leaders experience the intricacies of leadership styles and individuals get to the heart of their feelings and desires. The horse as a teacher, mirrors our body language and emotions – bringing new insights in new ways – creating impactful and lasting change. No prior horse experience is required to participate in Equine Guided Coaching. All exercises are done on the ground and there is no mounted work. 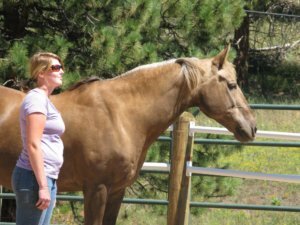 Kami offers both group and private Equine Vision Journey Retreats, customized leadership workshops for teams, and integrates equine guided experiences into most of her coaching packages. 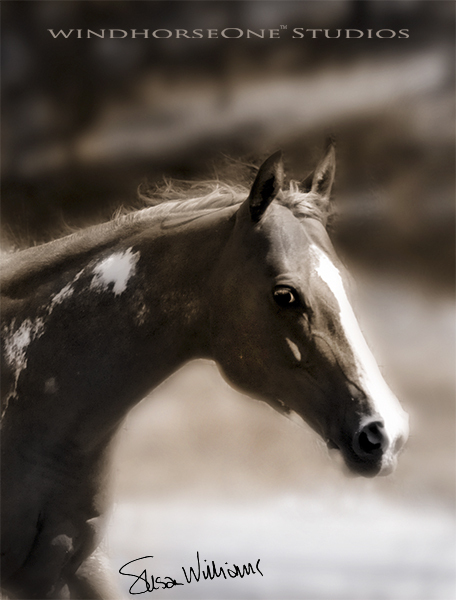 Dakota Jack (Dakota): Dakota has proven to be the wise soul in the Syzygy Ranch herd, providing strength and vision to so many of the Equine Vision Journey participants. 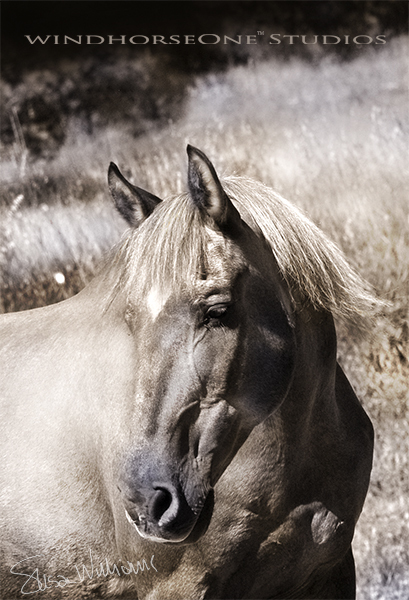 He is a 34-year old Quarter Horse gelding who has been with me for 24 years. Destiny Dancer (Destiny): This 19-year old Swedish Warmblood mare brings new light into peoples’ life paths with her sensitive and expressive nature. Her sentient soul helps people discover their passions and align their paths to the life they are meant to live. Zip Zap Cadillac (Zip): A 25-year old ‘character’ who always brings humor and curiosity to our work here, I’m lucky to have Zip come back into my life after a 12+ year successful show career. I rode him often as a 2-year and 3-year old, and now that he’s back home, he’s bringing insight to so many of Kami’s clients! Brown Sugar Special (Sugaree): This 15-year old Paint mare loves to share special moments in quiet with many of of my clients. She was the mare that pointed me down the Equine Guided pathway and loves nothing better than breathing nostril-to-nostril with any special person that needs some good self-reflection. “Go through. You are ready. Who’s next to experience a walk with the amazing Sugaree? 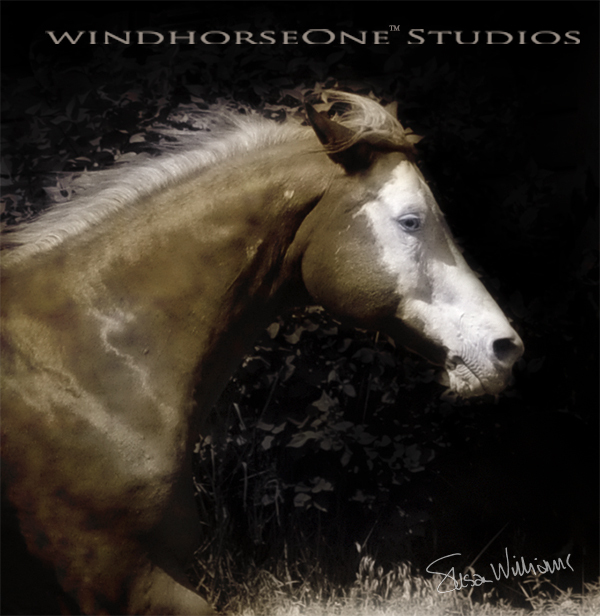 Photography is courtesy of Susan Williams of windhorseOne™.